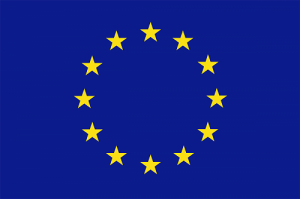 EU Projects - Scintilla Ltd. Under the New Széchenyi Plan, Scintilla Engineering Bureau Ltd. was awarded more than 42 million HUF of EU funding in the call for applications entitled “Complex corporate technology development for micro-, small-, and medium enterprises”. The development program, with a total cost of over 100 million HUF, involved the acquisition of tools for capacity expansion and an IT investment. Scintilla Engineering Bureau Ltd. was founded in 1996, and remains a family-owned Hungarian business. Initially, our company was involved in engineering activities, until entering the cable processing sector in 1998. Production started with 1 client, and building on this relationship within a few years the majority of the company’s revenue came from this activity. The present project was also aimed at developing this activity. In the project, our production capacity was expanded in order to meet increased consumer demand, and production processes were revised. Both the tool and IT acquisitions were targeted at the site in Jászberény. As a result of the project, thanks to purchase of machinery, our productiveness increased further, and the implementation of the LEAN concept on the assembly lines also led to significant improvements in efficiency and production times. The IT developments carried out led to a further improvement in the IT standards of our company and increased the extent of data handled electronically, which will ensure greater customer satisfaction for the long run. Overall, it can be said that the secure standard of living of our 152 employees was improved further at our family-owned Hungarian producing company. The project was financed partly through the involvement of MAG Zrt, under project no. GOP-2.1.1-11/B-2011-0165. 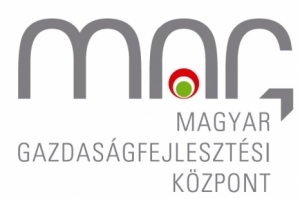 MAG – Hungarian Economic Development Centre Plc. Address: H-1077 Budapest, Wesselényi u. 20-22. Mailing address: H-1393 Budapest, pf. 332. Under the New Széchenyi Plan, Scintilla Engineering Bureau Ltd. was awarded more than 73 million HUF of EU funding in the call for applications entitled “Complex corporate technology development for micro-, small-, and medium enterprises”. The development program, with a total cost of over 182 million HUF, involved the acquisition of tools for capacity expansion. The tools acquired in this project greatly increased the efficiency of work at our company, and the implementation of the planned new functions also improved our efficiency. The project was financed partly through the involvement of MAG Zrt, under project no GOP-2.1.1-10/B-2010-0021. Despite the economic crisis, Scintilla Kft. carried out its program entitled “The path of consistent development” in 2008-2009, as well, through which it further strengthened its economic potential and market position. Within the framework of the project 2 Komax Alpha and 1 Komax Gamma cable processing machines were purchased, allowing us to produce fittings that satisfy the highest quality requirements. 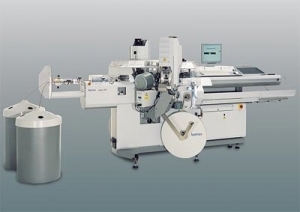 A Stocko cable processing machine was also purchased, on which IDC fittings can be produced. Great emphasis was placed in the project on IT development, as well. 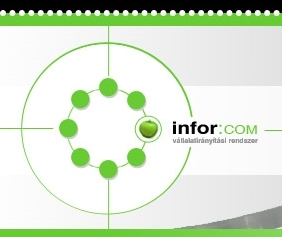 The Infor:COM company management system was installed, running on a powerful Dell server. The number of office workstations was increased, and our engineers received a 3D design system (Pro/Engineer). Real-time production data are transmitted from the plant to the production management system via a radio frequency network. Part of our employees received targeted training regarding the requirements of the automotive industry, in line with the criteria set by some of our clients. Beneficiary: Scintilla Kft., 5100 Jászberény, Ipartelep u. 9. In this project we built a new production hall, which further increased our production area; in addition to the implementation of the necessary raw material and finished product storage functions we also constructed an office area. As a result of the development the project reached its goal: the planned structure was built, and the obligation to provide employment is being implemented.